We all know that the main reason accountants become accountants is because they love working with numbers. They would certainly rather be working with numbers than, say, jackhammers or batons or legal briefs. Numbers are their thing, and accountants are more than happy to leave the other stuff to construction workers, orchestra conductors and lawyers. But we all have moments in our jobs where everything piles up. It’s called “busy season”. And for accountants, theirs is right now. Tax season affects all of us. Most of us feel a little stressed at this time of the year as the deadline looms, especially if we have to pay a large amount of money to the government. Like Christmas, it’s a ton of work and preparation, but instead of leading up to a day off spent eating, relaxing and opening gifts with loved ones, it leads up to a day of watching your savings account shrink. Your accountant knows you need your taxes done. They know how stressed you feel. And they totally know you want to see “the damage” as quickly as possible, go have a stiff drink, then move on with your life. They don’t want a long drawn-out process any more than you do! But the thing is… to do your taxes right, your accountant needs a few things from you, too. So here’s how to get the most out of your accountant during this magical time of year. Don’t drop off a disorganized batch of receipts. People do this all the time, and it’s the worst. It makes accountants want to break pencils and set cars on fire. At the very least, organize your receipts into bundles and label them. Or take it to the next level: organize your tax information into something that will make your accountant’s heart sing, like a spreadsheet. Don’t show up on April 25 and expect your taxes to be done on time. Maybe someday Amazon will be able to prepare tax returns and deliver them by drone in a couple of hours. Until then, it takes time and a skilled human being. Don’t drop off your stuff and expect it to be ready in a few days. Realize that you are essentially standing in line. There are other people in front of you and behind you, and your accountant is working for all of them. 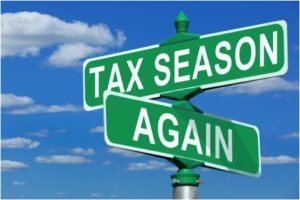 Someone has to be first, someone has to be last, but remember… your accountant will get everyone’s taxes done by April 30, because that’s their job. Don’t expect deductions on things you haven’t documented. That is illegal and no good accountant will do it. If you want something deducted, you have to be able to prove that you paid for it. Don’t call/email/drop in on your accountant to ask if your taxes are done. If you’ve hired a trustworthy accountant, he or she is hard at work the entire months of March and April. When your taxes are done, they will let you know (and will be as happy as you are to have another one finished). The only thing you’re accomplishing by contacting your accountant every day is delaying the process. They’re spending time providing you with an update when they could be, you know, doing your taxes. If you heard from a friend or read online about how something is tax-deductible, don’t ask your accountant if they made sure to include that deduction on your taxes. Nearly every deduction or tax credit has limitations, exemptions and exceptions, and your accountant spends their whole life keeping up to date on those things. Also, a lot of the information you hear or read depends on certain circumstances that do not mirror yours. Sure, it’s sometimes a shock to see how much you owe. But if you want to work with this accountant again, don’t go off the handle, don’t accuse them of getting a commission from the CRA, and definitely don’t ask for a discount on their services because you have to pay more than you expected. Try to understand why you owe so much and do whatever you can to avoid it next year! Don’t hire a cheap accountant. Accountants are like most other things in the marketplace: you get what you pay for. If you hire somebody at low cost, you’re probably not going to get the same level of education and experience that you would if you paid a little more. We all have busy seasons in our jobs. We plan for it and we know to expect that sometimes things will get messy. Your accountant is a human being too. They can get hurt when people aren’t very nice to them, particularly during tax season when they can get a bit grumpy. So be nice, and be patient, and be respectful. Lorn is a Chartered Professional Accountant (CPA, CA) and has MBA and B.Sc. degrees from the University of Toronto. He recently retired as a tax partner from Deloitte LLP after 38 years in public accounting, 36 of which were in tax. Lorn’s practice focused exclusively in the private company marketplace where he assisted high net worth families, shareholders and key management in designing tax efficient structures, minimizing both corporate and personal taxation and advising on estate planning considerations. 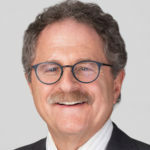 Lorn also acted as the business advisor for his private company clients, assisting them with all facets of their business such as mergers and acquisitions, expansions, real estate purchases and divestitures and transaction due diligence.